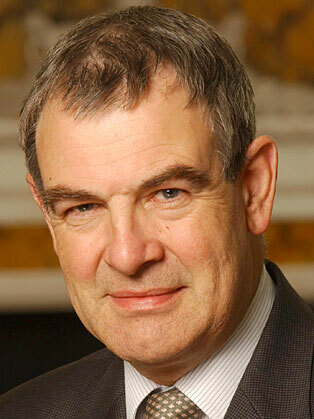 Sir John Gieve joined the Civil Service in 1974 working in the Department of Employment. In 1979 he moved to the Treasury to work on employment, energy and them as private Secretary to the Chief Secretary. From 1984 to 1986, he served as an Investment Controller at 3i in its London office, then returned to the Treasury. From 1989 he was Private Secretary to three Chancellors: Nigel Lawson, John Major and Norman Lamont. He then headed the directorates responsible for banking, the Budget, public services, and financial regulation. From 2001-2005 he was Permanent Secretary at the UK Home Office which had lead responsibility for criminal justice, counter terrorism, policing, prisons, and immigration, as well as relations with the voluntary sector and race equality. Sir John Gieve is the Chairman of VocaLink, the main provider of payment systems in the UK, and an independent director of CLS which settles most global foreign exchange transactions and of Morgan Stanley International of which he was director between 2012 and 2015. In the not-for-profit sector, he is Deputy Chairman of the Homerton NHS Foundation Trust and soon to become Chair of Trustees of Nesta, an innovation foundation. He is a visiting professor at the School of Public Policy in University College London.